Take control of your APC, record and monitor your experience with the myAPCDiary. Interested in the myAPC Diary but not sure what it is all about? Come to our online myAPC Diary forum with Jon Lever FRICS and find out about the myAPC Diary and ask your APC questions. It is that time of year when you need to get your submission documents into RICS…. BUT… Have you considered asking people to review them for you? BUT…. Do the people you have asked know the APC process inside out? HELP…. We can help you at our submission document online Masterclass! Book a place and send in your documents. Jon Lever FRICS (RICS UK Assessor Trainer) will review yours and other attendees documents briefly and offer comment and suggestion for improvement at the Masterclass. 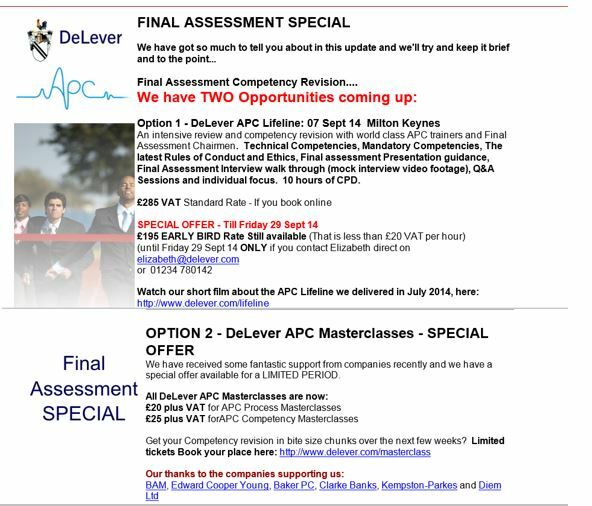 If you would like a full document review then please see: www.delever.co.uk/coaching and contact one of our APC Coaches. Jon Lever FRICS, Kate Taylor FRICS and John Baker FRICS write process and competency based APC articles for Estates Gazette every two weeks. Fancy writing an APC article for our Blog? Real and current APC assessors. As close to the real thing as we can make it. 15 minute feedback critique from the assessors based upon your performance. Come and talk to Jon Lever FRICS and have your APC questions answered. We are delighted to report that we are updating our timeline wallchart and we hope to provide it FREE of charge as we have done for the last 10+ years. Get your company logo and advert on a 1000 copies of the timeline every quarter…? 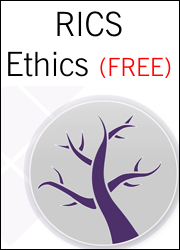 FREE APC Supervisor and Counsellor CPD! Want to get to grips with the APC process but are finding it hard to get any decent training that is value for money? As the APC is based on your competency experience it is hard to know whether you are on track if your diary and log book are not up to date. It is a good idea to write up your diary and log book weekly, including a detailed description regarding your experience. We suggest writing a sentence or two for each diary entry, sufficient to remind you about what you were doing. This will help you identify any competency experience where you are deficient.